A couple days ago I stumbled across the A Pair of Pears site (soooo cute! 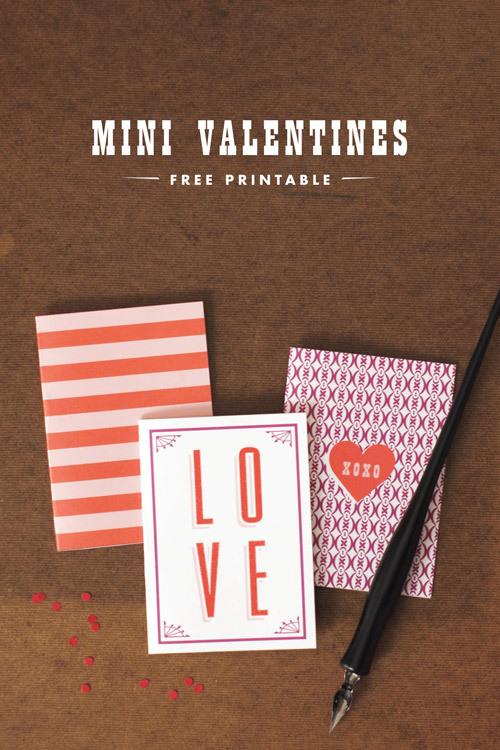 ), and on it were these very cute (and nicely designed) Valentine printables that they had shared last year. Sad I missed it then, but very glad I saw it now! So I thought I'd pass them along to you all in case you're looking for some cuties to print out and give to friends (maybe along with some baked treats, as P of P suggested?). Click here to hop on over and download the files!